Elegantly circular and timelessly chic, the TS eternity bracelet is a wrist adornment worth its weight in style. 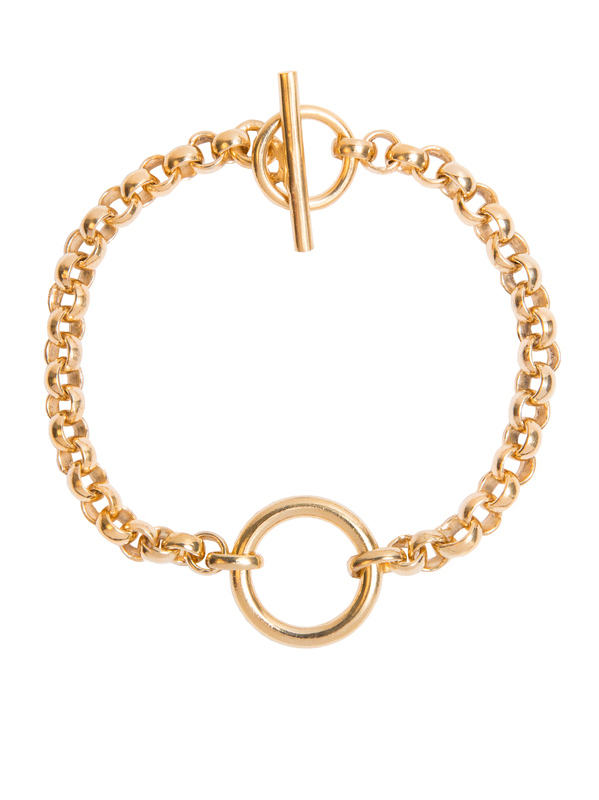 The bracelet measures 20cm in length and the actual central ring is 2cm in diameter. It is hand made and then plated in Birmingham with 2 microns of 18ct certified ethical gold. All our gold plated pieces come with a years guarantee. Please refer to our care guide for more information on this.